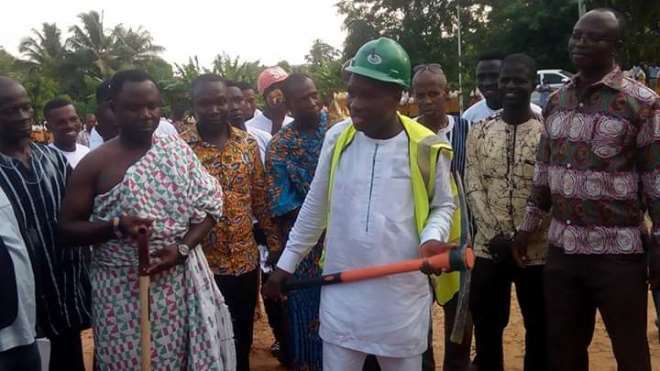 The District Chief Executive (DCE) for Ellembelle in the Western Region, Hon Francis Kwasi Bonzo popularly known as Ellembelle David has cut the sod for the construction of a 12-unit classroom block for the Nkroful Agriculture Senior High School to absorb Double Track System students. 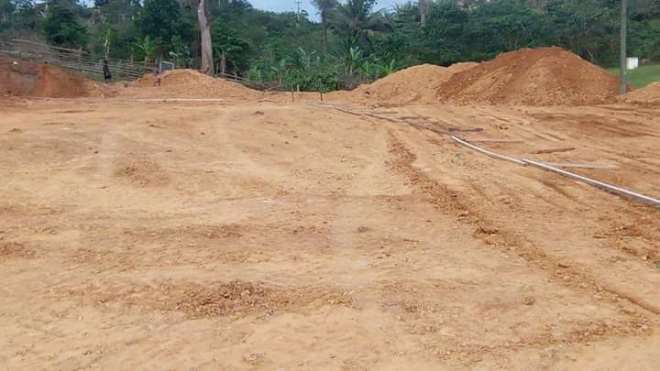 The project with estimated cost of One million two hundred and fifty thousand Ghana Cedis (12.5 billion old Ghana Cedis) is from the government's GETFund and it is expected to be completed within six months. The new structure when completed will be equipped with dual desks in each class and it is a two-storey building. It is being executed by the Legacy Construction and Engineering Limited. 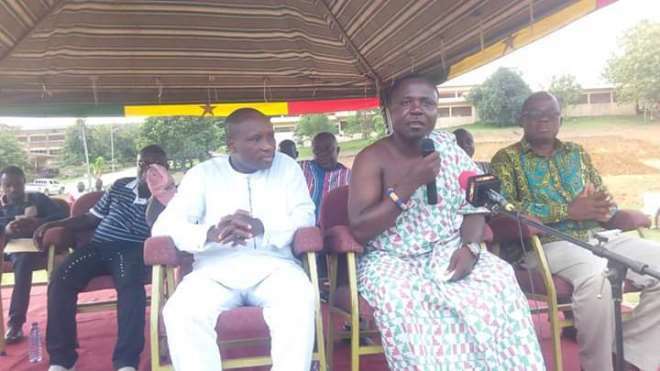 Performing the official cutting ceremony at the school premises on Wednesday, April 10, 2019, the DCE said the construction of the classroom block has become necessary as a result of the Double Track System under the Free SHS programme which has brought congestion in the school. He said since the inspection of the Free SHS programme the enrollment has been increased drastically across the various SHSs in the country. "Since the inspection of Free SHS policy by the President Nana Addo Dankwa Akufo-Addo and his administration of which I represent in this District, we have, have the numbers increased beyond our expectation, this has come as a result of government taken over the full cost of admission, tuition, boarding and lodging frees of students since 2017-2018 and 2019 academic year", he explained to the gathering. He added that "The Free SHS policy is the single-largest social intervention that has ever seen and as a government we are very proud to be first government and the ruling government to have boldly to be implemented this policy". 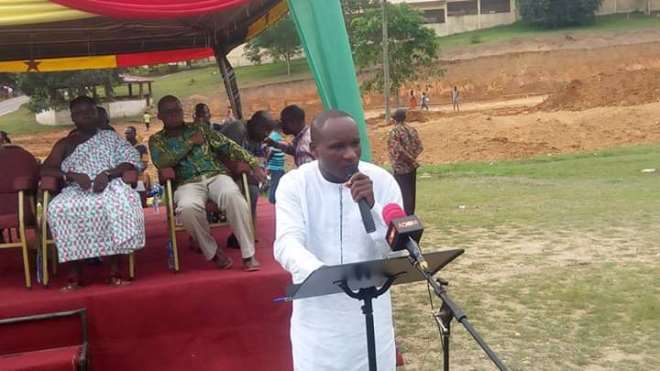 "The record is there for us to see, obviously, if it is not because of the Free SHS programme like most of you students here will not be in school to witness this sod cutting ceremony", he told the students. The DCE emphasized that many people thought the then Flagbearer of the NPP, President Akufo-Addo was lying to Ghanaians about the Free SHS but today President Akufo-Addo has honoured his campaign promise. He, therefore, urged the parents and students to embrace the Free SHS programme adding that the Free SHS programme has come to stay. 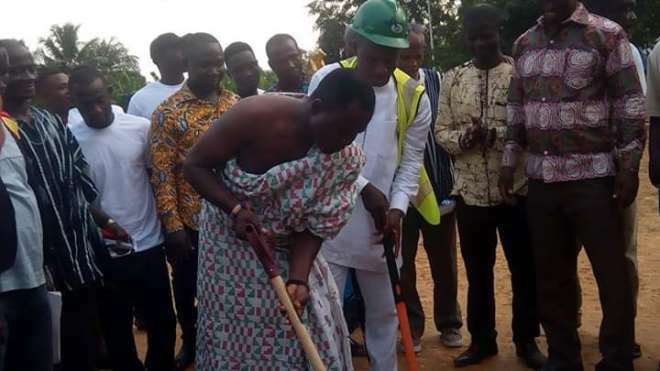 He revealed that "...and as a result of the policy it has brought shortage of academic facilities thus residential accommodation and classroom accommodation and some people said we should wait and build the classroom blocks before the Free SHS, we believe that the two can go together so we have started it and today we are here cutting a sod for the construction of a 12-unit classroom block for NASS". The DCE said the Double Track System is being implemented to solve the problem of classroom accommodation adding that this facility will abolish the Double Track System in the school. "This government will continue to work assiduously to provide the critical infrastructure that needed in out schools not only in Nkroful Agriculture SHS, recently the GETFund secured a lot of money to build these blocks all over the country and we are going to continue to make sure that every SHS, every Technical School, every school in this country that needs infrastructure to train our kids, has it so that we give full meaning to the Free SHS", he said. He seized the opportunity to advise the students to take their studies seriously since they are the future leaders of this country. 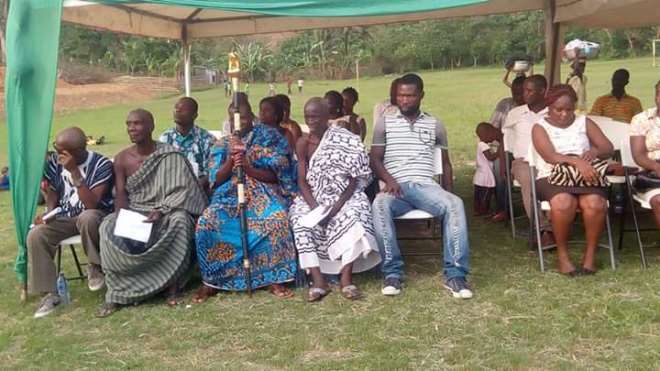 The DCE who received his Secondary Education of the Nkroful Agriculture SHS, narrated his school lifestyle to the students and urged them to take his lifestyle into consideration. He also called on their parents to support their children to achieve success after completion of their secondary education. 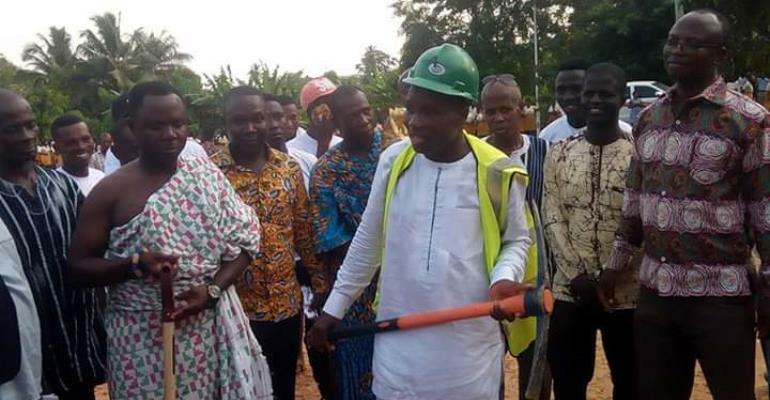 The DCE thanked the contractor for promising him of engaging the local artisans in the construction. He advised the youth who will be engaged to work hard and do away with laziness. 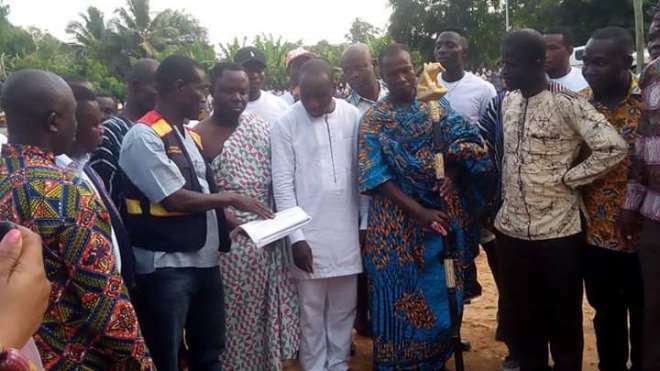 He also cautioned the residents of the town not to steal the materials of the contractor. He opined that "I will be happy to come here in September to officially commission this project". On his part, the District Director of Education for the area, Mr. Ackah-Blay Quayson thanked the government for the kind gesture. He said that if the contractor completes the project within the timeline then the double track system will be the thing of the past in the school. 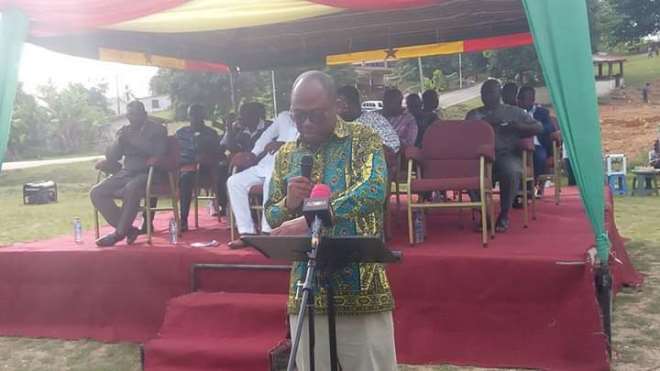 The Headmaster of the school, Mr. Michael Kwame Wurah expressed his profound appreciation to the DCE and government for the project and pledged to support the contractor to complete the project on time. He seized the opportunity and appealed to the DCE to provide the school with furniture. He explained that due to the implementation of the Free SHS programme, the student's population has increased to 1,500. 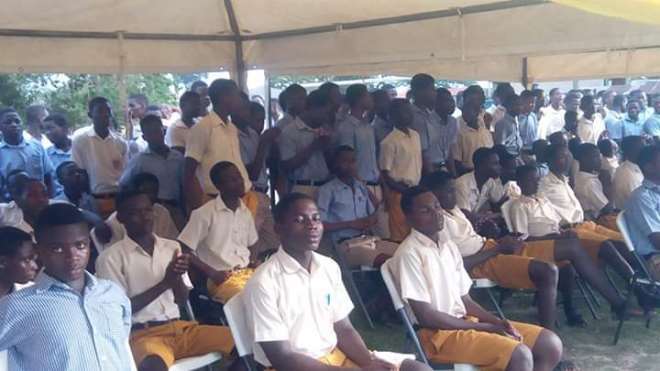 "Currently we are facing furniture problem because the number of the students has increased to 1,500 and we expecting the number to be increased in the coming academic year due to the Free SHS programme and we are appealing to the DCE to help us with 400 furniture ", he said. 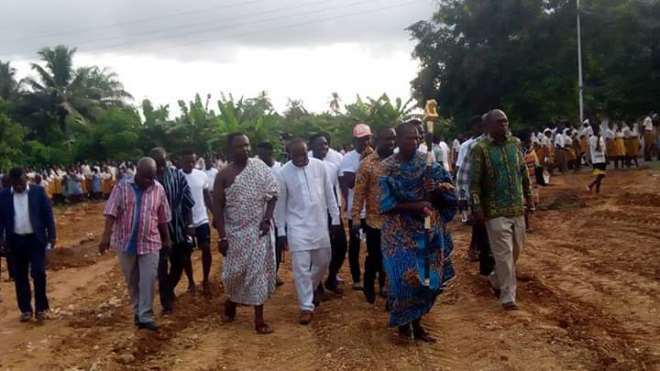 On his part, the Chief of Nkroful, Nana Kwasi Kutuah IV, assured the contractor of his support adding that his community will collaborate with him to complete the project within the stipulated period. 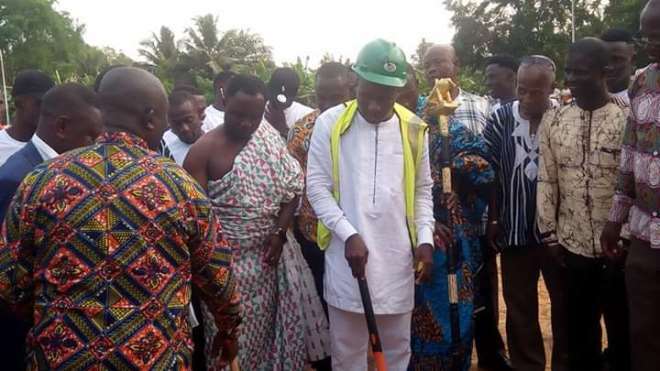 He, therefore, urged the local artisans who will be employed by the contractor be law abiding citizens and also urged them to exhibit the high sense of responsibility. 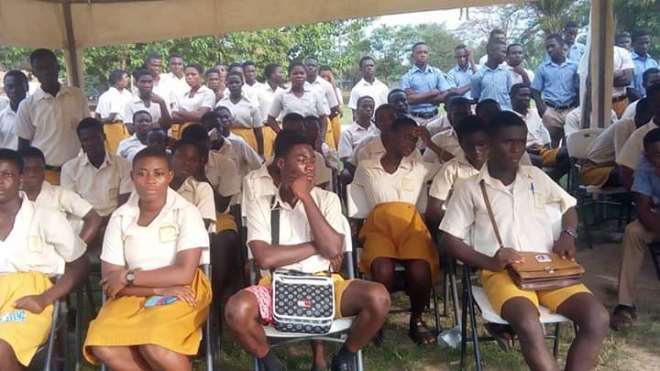 He seized the opportunity to call on the students to take their studies very very serious and learn hard to pass well and get admission to the various tertiary institutions in Ghana. He told them that there is going to be a wholesale promotion for them to the tertiary institutions. 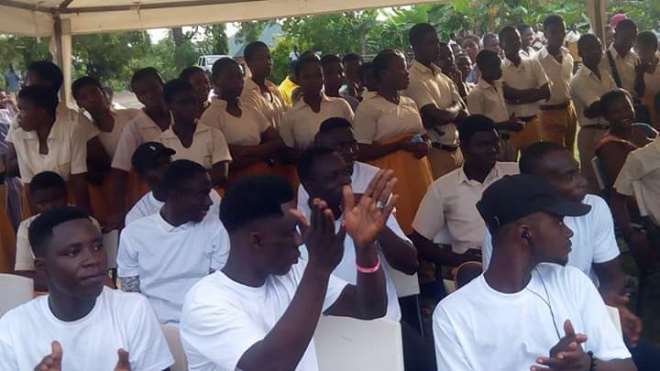 The Chief also appealed to the Headmaster and the teaching staff to help the students to get better grades at the end of their three-year program. The students became very happy and prayed to God to help the DCE and his government for the project and pledged to learn hard. The contractor therefore assured the Assembly and the school management that the project will be completed on schedule. He appealed to the stakeholders to give them the needed support to finish within the six months period.